Ralph Lauren presented a spectacular, nautical collection for spring at New York Fashion Week this year that we all loved ” but we didn’t know it would be his final show as CEO of the brand. 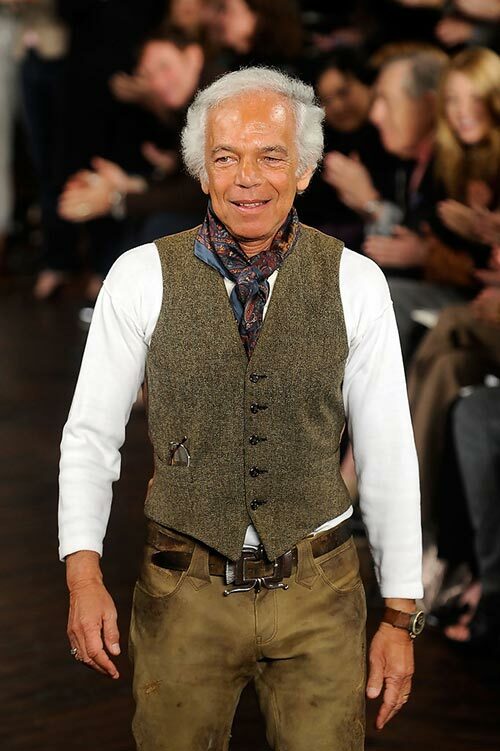 48 years after the designer founded the brand, Ralph Lauren has decided to step down from the position of CEO of his eponymous brand. Lauren isn’t just leaving the brand, however, as he will still be executive chairman and chief creative officer of the house. The brand doesn’t seem to be in danger of major changes, as the designer is still in a place of high power ” one that is nearly as powerful as the CEO’s position ” and will be heading the creative output of the house. And there is no doubt that Stefan Larsson, who comes to replace him in the position, will still be reporting under Lauren. There’s no way to replace a brand’s founder as CEO and instill authority over them, especially when they’re still working for the brand. Previously, Larsson was an executive at H&M, and most recently was global president for Old Navy. With his remarkable work done for that brand, there is no doubt the man can make himself right at home at this design house. This will be the first time the brand is not being run by the designer himself, although Ralph Lauren himself even referred to this position exchange more as a partnership than anything else. Stefan will begin his role as CEO of Ralph Lauren in November, giving Ralph one more month as head of company. With his reputation following from the revival of Old Navy, Stefan Larsson and Ralph Lauren may make something that’s bigger and better than what we’ve seen from the design house in its nearly fifty years running, but that is something only time will tell. While there may not be any significant alterations to the world-renowned brand anytime soon, we can only wait to see how the house evolves from here. One thing we can do in the meantime is dream about the possibilities for this new partnership. Even though the change may have come as a surprise, the Ralph Lauren brand can only go up from here.